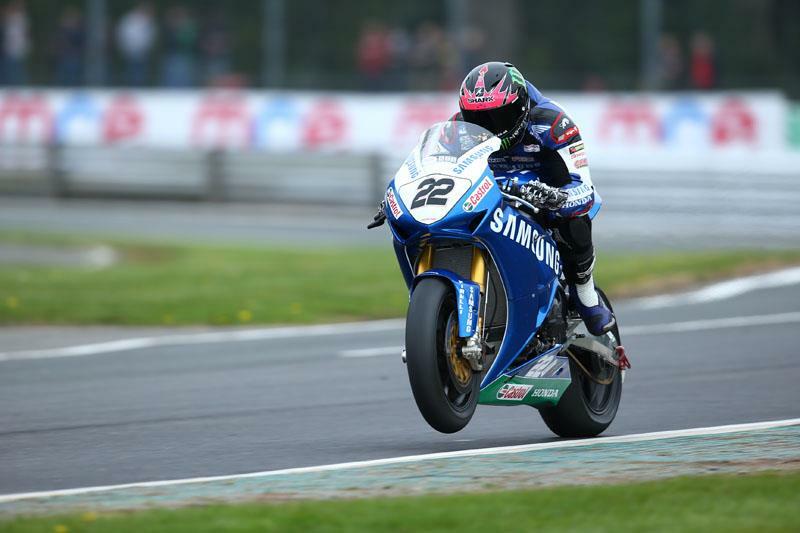 Samsung Honda rider Alex Lowes controlled the first race at Cadwell Park to take the win after starting from pole position. The Lincolnshire rider got a good start with non of the following group able to get passed. Reigning champion Shane Byrne finished second onboard the Rapid Solicitors Kawasaki. Australian Josh Brookes finished third, the Suzuki rider making a good start from the third row. Brookes passed James Ellison on lap 12, with the Milwaukee Yamaha rider crashing out of fourth place on the 14th of 18 laps. Tommy Bridewell had a good race catching the leading group, although he was unable to make it onto the podium, finishing infourth ahead of PJ Jacobsen.